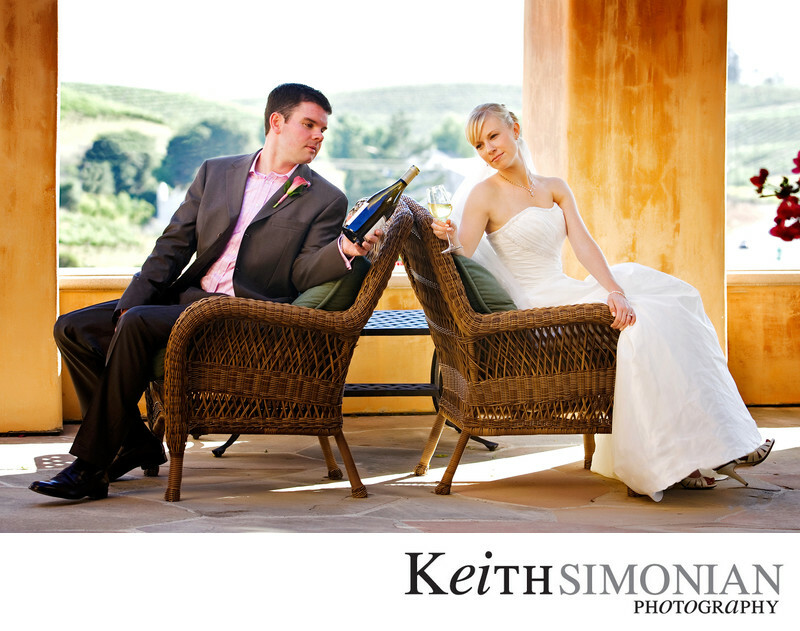 Winery outdoor wedding and reception at the Nicholson Ranch Winery in Sonoma, CA. The Nicholson Ranch Winery is perched on a small hill and offers panoramic views of the Sonoma Valley. Those very same views make for great backgrounds when taking portraits of the bride and groom. Location: Nicholson Ranch Winery 4200 Napa Rd Sonoma, CA 95476. 1/250; f/4.5; ISO 250; 100.0 mm.